The National Anti-Corruption Bureau of Ukraine on Wednesday raided the National Bank offices, UNIAN reported on 29 March with a reference to the Specialized Anti-corruption Prosecutor's Office. 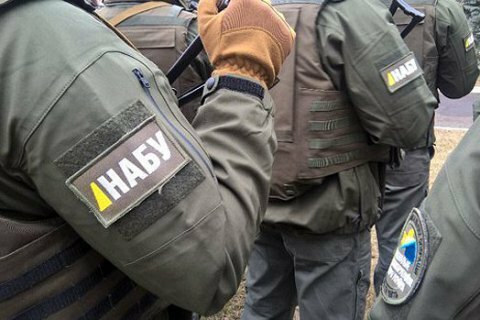 "The NABU conducts investigation activities under the procedural direction of the Specialized Anti-corruption Prosecutor's Office," a high placed prosecutor told the news agency. The publication Realist reported with a reference to a source in law enforcement agencies that investigators seize documents related to Platinum Bank, closed due to insolvency in January 2017. Based on a diagnostic survey of Platinum Bank, NBU approved in June 2016 the size of capitalization for the bank's bailout, supposed to be held before January 1, 2017. The bank did not reach the positive value of capital, however. In the autumn of 2016, the records of conversations between the deputy head of the NBU Yekateryna Rozhkova and the Platinum Bank CEOs were posted the Internet, after which NABU announced opening a probe into possible malpractices in the central bank. NABU press woman Svitlana Olyphira confirmed to the channel 112 Ukraine the fact of the investigating activities in the NBU, although she declined to call them searches. She stressed that NABU was seizing documents and that National Bank staff cooperate with detectives. "These investigative actions are in the framework of criminal proceedings, which the Bureau detectives are conducting in connection with the suspected abuse of power by NBU officials in the interests of third parties who have breached banking legislation," Olifira said.